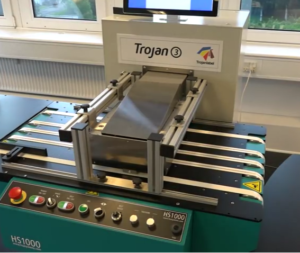 A stand-alone solution for special applications such as envelopes, bags, cartons or even integrate into an existing converting line. 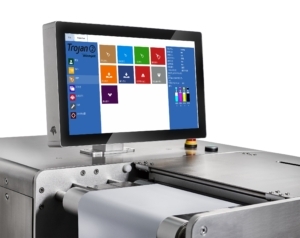 The Trojan3 is the same print technology as used in the Trojan2 but without the unwind and rewind attached. 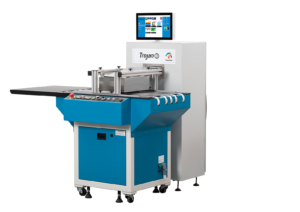 This means by adding a feeder you can create a stand-alone hand fed printer for specialist applications like paper sacks, cartons etc. 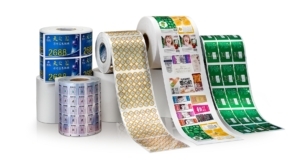 Other possible applications (with a different feeder) are envelopes, adding the printer to an existing print or converting line, making it more than just a label printer and moving it into new markets. It still produces very high quality printed output, as you would exect from the 1600 x 1600 DPI MemJet technology. Click here to view the brochure pdf. 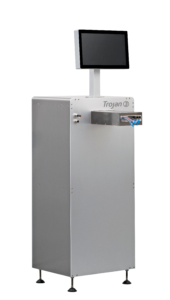 Click here to view a PowerPoint of the Trojan3.